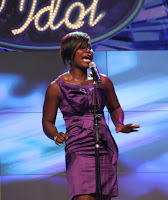 It was an exciting way to start 2012 as Nigerian Idol aired the New Year’s edition. The competition got hotter on Nigeria’s biggest music reality show as the first 10 contestants from the top 30 finalists performed before a live studioaudience. 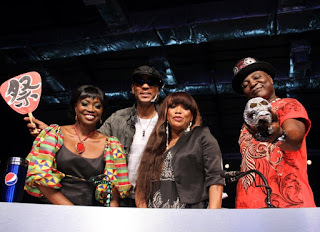 Last weekend, Idol Judges Jeffrey Daniel, Yinka Davies, and Charly Boy were joined by celebrity guest judge Kenny St Brown [KSB]. The night’s performances kicked off with a subtle rendition of the Beyonce Hit ‘If I were a Boy’ by Timi Myles who was dressed for the part. The judges and audience were impressed with her performance. She was followed by the petite Joy who performed Justin Bieber’s ‘Baby’ to the admiration of the audience. The ever cheerful Chinedu gave a Bob Marley hit a tasteful R&B twist of its own which earned him the admiration of celebrity guest judge of the week Kenny St Brown. The sultry Nikky followed with a jazzy rendition of the classic ‘Killing me Softly’ which Charly Boy rated as one of the best performances of the night. Bharbar came after her with a comic rendition of the Michael Jackson bestseller ‘Billie Jean’, the judges were not very impressed with his dancing skills but Jeffrey Daniel commended him for his effort. He was followed by Beulah Faraday who sung her version of the Chaka Khan hit ‘Aint Nobody’ whilst her performance was rated okay, Yinka Davies believed she could have done better. Israel brought back memories of the 90’s with his version of Bryan Adams ‘Back at one’. the ladies let out whoops and gave the smiling contestant an appreciative round of applause. By the time he was done performing the Bruno Mars 2010 hit, ‘The Way You Are’, members of the audience were already on their feet. Charly Boy praised him and asked the audience to vote for Byno. Ebi Paul Otti moved the judges and the audience with his superb performance of the classic KC & Jojo duet ‘All My Life'. While Jeffrey Daniel praised his vocal strength, guest judge KSB could not fault his performance. The performances came to a spectacular end with final performer, Najite David who brought the house down in spectacular fashion with her commanding delivery of the Dream Girls musical classic ‘And I’m telling You’. The captivated audience gave her a standing ovation and had to be brought to order for the show to go on. All the judges praised her passionate and flawless performance with KSB commending her emotional depth and Charly Boy staking his money on her. 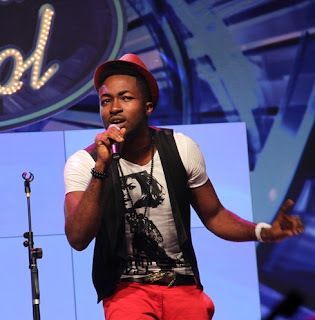 Nigerian Idol shows on TV stations across the country and on satellite via DSTV. 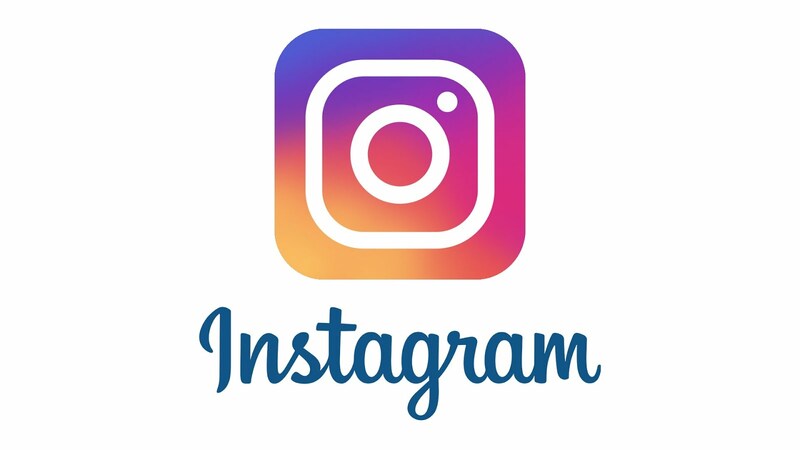 The Idol franchise is the world’s biggest and most popular platform responsible for the discovery of popular stars like Jennifer Hudson, Fantasia, Adam Lambert, Timi Dakolo and Nigeria’s own Yeka Onka. The show began airing on December 4 and runs through the new year until April 1st when a new Idol is announced.